You know those widely popular Naval Criminal Investigative Service (NCIS) shows that fill the airwaves? 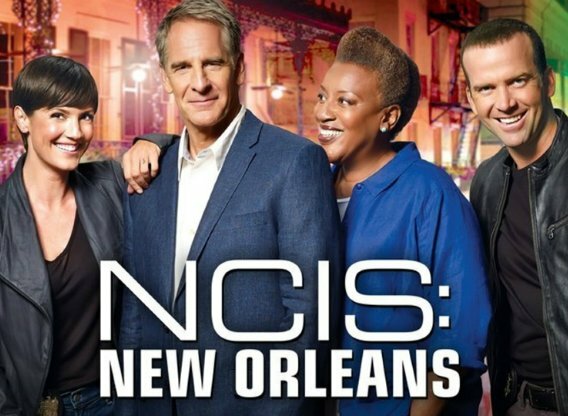 We’ve worked with those people—NCIS: New Orleans to be exact. Impressed? We’re huge fans, so we are too. For those who don’t know, this TV show skillfully combines elements of police and military dramas of the past and hit the air in the fall of 2014. We love that show showcases the lovely city of New Orleans. When we got the chance to work with them we jumped at the chance to put our exhibit design skills right into showbiz set design. 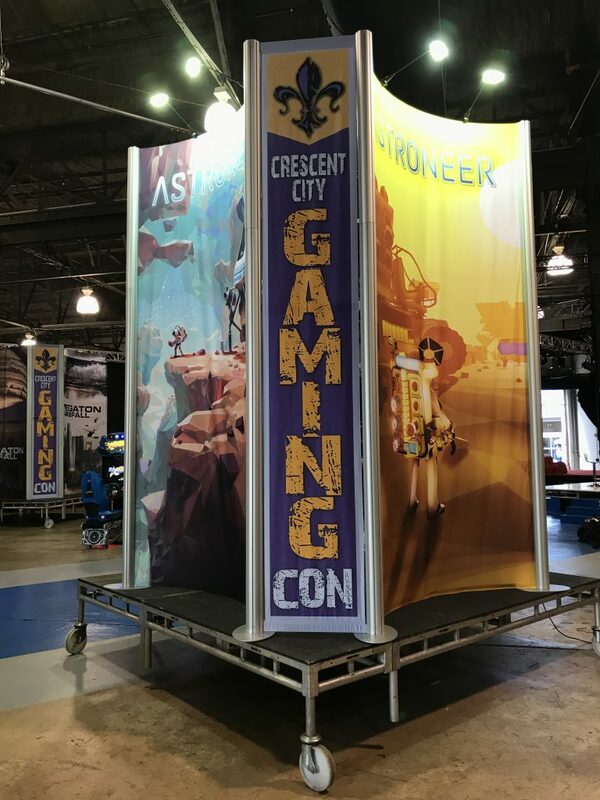 The setting: a trade show. 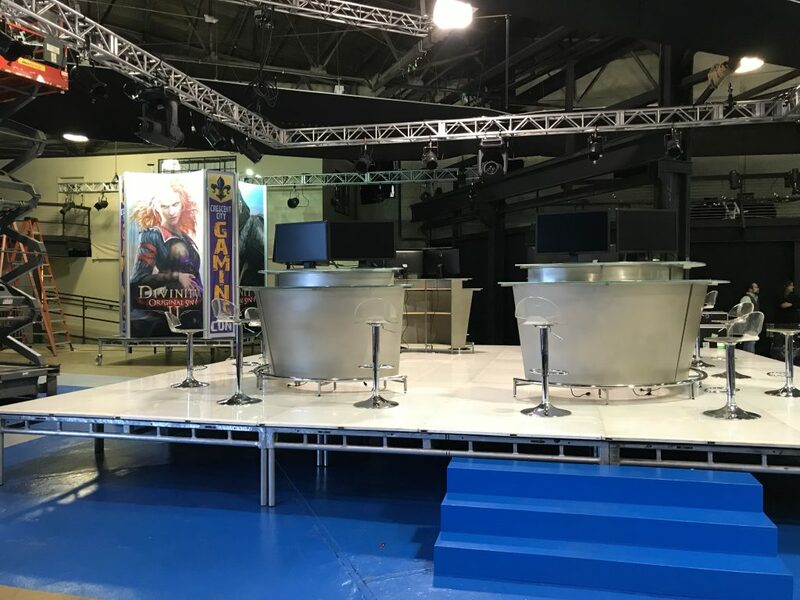 The stars: 3 custom trade show exhibits that were designed to be visible and set the tone for the episode, plus be set up on a moveable platform. The catch: it was a one-day build and a one-day teardown. The plot thickens: Since we were dealing with the television industry (a whole new market set), there was some unpredictability, but we eat unpredictability for breakfast…well, actually, breakfast, brunch, lunch, and dinner. One of the things we used to help cut to the chase was that we showed the production team examples of our past rental exhibits. They liked what they saw, and picked out a design they liked that they felt would capture their needs. 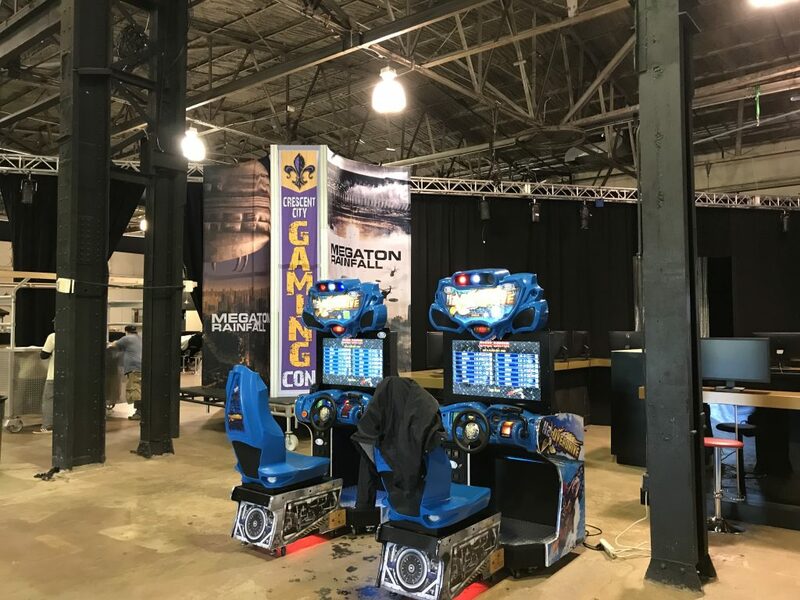 The payoff: this wasn’t your ordinary trade show, this was a movie set design that had to be built on a rolling platform to quickly change scenes for filming. Time was of the essence in the TV industry; you have to work fast and furious to create the magic. 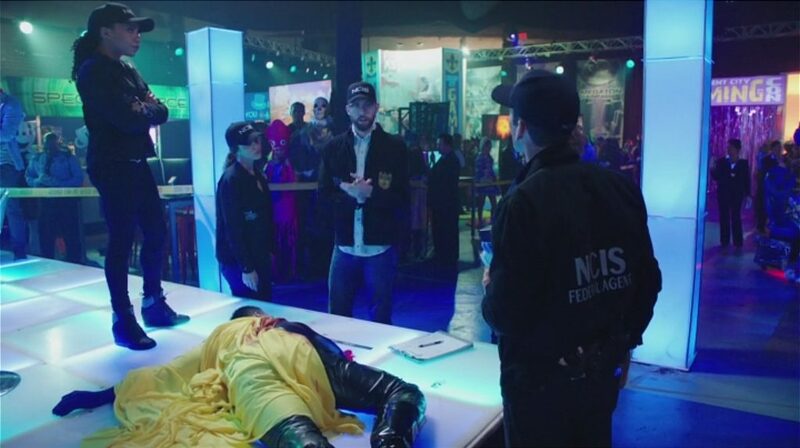 This was our first time working with a production crew on a two shoot, working around NCIS tight schedule. 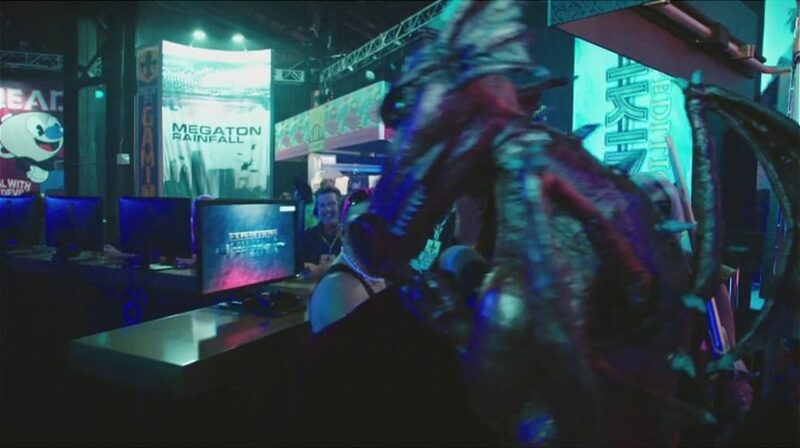 The finale: Our design appeared at the top of the show and didn’t wind up on the cutting room floor. That’s a wrap! The longer people want to interact with and devote themselves to a brand, the better. Smart, design, and immersive experiences add brand value and create meaningful engagement, but it isn’t easy or accomplished by accident. It requires regular investments by brands to provide content, insights, tips, rewards, and opportunities if they’re trying to gain customer loyalty. Our seasoned team of exhibit specialists combined with a mix of creative, design, and technology partners will collaborate with you to build an exhibit experience that will tell your brand’s story. We take an in-depth look at your conference, trade show, exhibition, product launch, or any other special events. From idea to activation, strategic consulting to campaigns or emerging technology, we’ll work with you at every step of the way. Retail, trade shows, press shows, festivals, product launches—we do it all. We inject a creative voice into experiences that connect with your audience, tell your brand’s story and deliver results. Regardless of the size, scope or location of your project, we’ll help you create an experience through social, digital, video channels and be there all the way from the beginning all the way to the follow-up. Ready to re-imagine your exhibit and help your brands’ voice be heard? Connect with VOXX today and let’s get the conversation going.